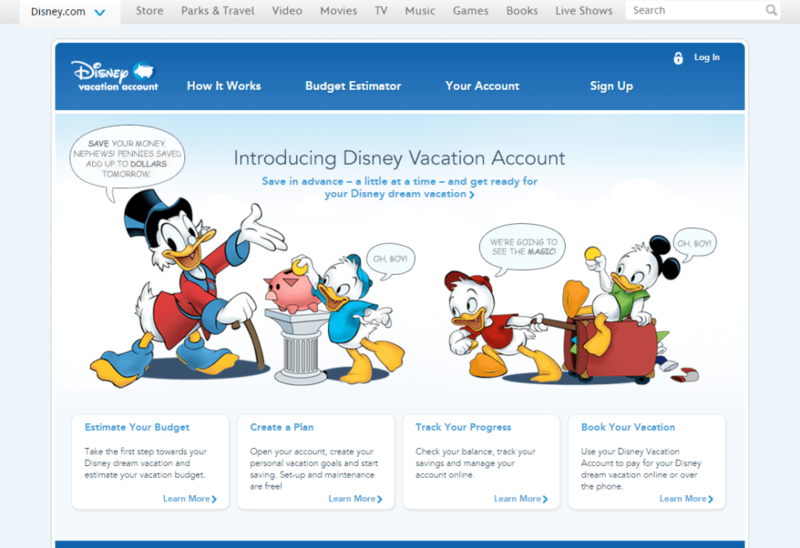 In 2017, Disney discontinued the Disney Vacation Account program. This was a way to save for a Disney vacation that offered perks like gift cards for the money you spent using the account. 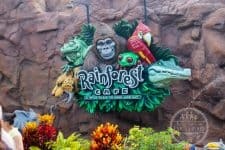 In addition, you could have requested that a portion of the funds be used to purchase Disney Gift Cards, which can be used for purchases at any of the above locations, and also at Disney Stores and online at Disneystore.com. So once you’ve figured out what Disney Destination you want to visit, come up with an estimated budget. That budget, paired together with when you want to travel, will help you create your Savings Plan. You create your account with as little money as you want and start saving. Monitor your progress online and Disney will send you email updates to let you know how you’re doing. You can choose to have payments made to the account automatically on a weekly, bi-weekly, or monthly basis using a debit card or credit card. One-time payments are also an option so you can pay on your own schedule. 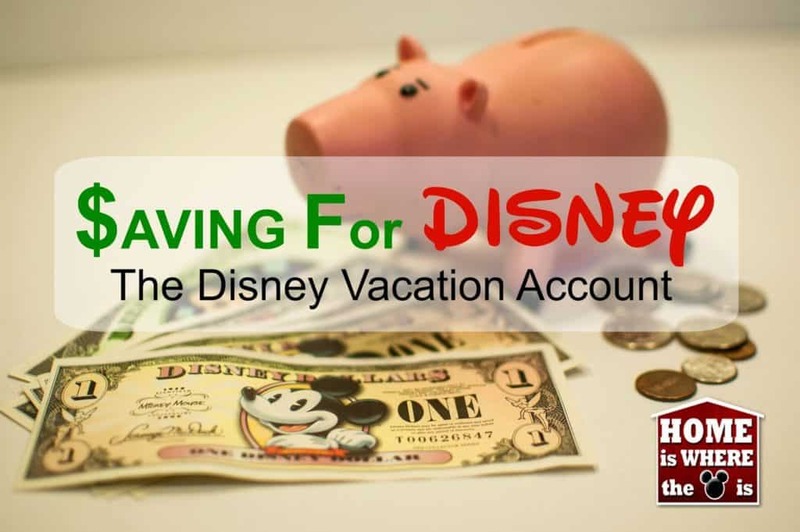 You can even use Disney Gift Cards to build your savings! 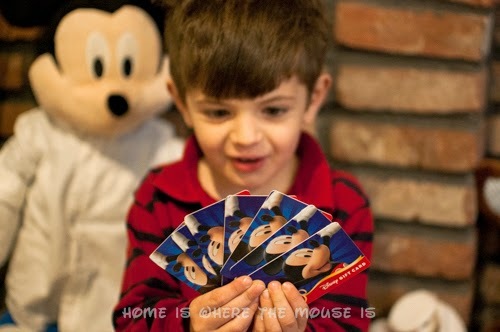 We find this is a great way to consolidate the Disney Gift Cards we buy discounted at Target! Your money is kept in a non-interest bearing bank account. (you don’t earn any interest on the money while it’s in the account, and neither does Disney). 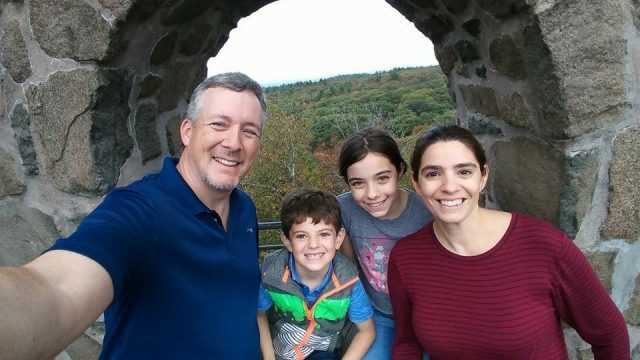 The FDIC insures your money just like the funds you have in your own bank! The Disney Vacation Account program is currently offering an incentive that rewards you with a $20 Disney Gift Card for every $1000 applied to a Disney vacation purchase using your account. (Your account must be open for at least 120 days to be eligible). We used the Disney Vacation Account to save up for a Disney Cruise. The process was painless and those email reminders even kept us on track!! We earned $100 in Disney Gift Cards and used those on another Disney trip!! We’re sad to see that the Disney Vacation Account was discontinued. Still, the steps laid out above, minus the gift card rewards, are a good guide to saving for a Disney Vacation. As an alternative, you can set up a separate savings account at your bank or using the Qapital app to kick-start your savings.